Hey there, we’re back with Likes and Fails and today we are looking at WhatsApp’s future plans and the girl who got herself fired over Twitter. WhatsApp have decided to add another string to their bow by adding calling as an option in the app. They’ve been testing this feature out with a select group of Android users. There is no sign yet of when they plan to bring the update to iPhone, and also no insight as to when the feature will roll out to all Android users. It was initially brought to attention by some redditors that had noticed the feature appear on their apps. One user then posted a video demonstrating the new feature on YouTube. Obviously the advantage of this is that the calling only uses wifi and 3G which can be useful if you want to save money on minutes and if there’s no signal in the area. The feature was originally announced last year but there had been no sign of the call feature until now. The app isn’t exactly struggling at the moment, recently announcing that they had 700 million active monthly users who exchange around 30 billion messages a day. It’s nice to see the app progressing though it is a fairly obvious next move for them. I’m hoping someday soon we get something truly innovative from an online messaging company, though that may be difficult. A not so clever girl, lost her job before she’d even started it thanks to Twitter, well and herself. She tweeted that she was not looking forward to starting her job tomorrow, though in not such kind wording. Then the day after she claimed that she had been fired over Twitter. What a surprise. It turns out that her boss was alerted to her tweet by another employee, her boss, or rather never to be boss, got on his twitter and promptly fired her. He said that he didn’t want someone with that sort of attitude working at the restaurant/fast food place. Fair enough really. Make sure you pay attention to what you post on Twitter kids! Here we are, it’s today’s Likes and Fails! WhatsApp has finally launched a web app, after many calls for it from fans of the messaging app. The messaging app is extremely popular, having over 400 million users world wide, and was last year purchased by Facebook for $19 billion. So the new web app has launched, currently only on Google Chrome’s browser, but there is expected to be updates for other browsers soon. Check it out in all it’s shiny new glory here: https://web.whatsapp.com/. On the screen you’ll see a QR code (who knew people still wanted to use those?!) you’re supposed to scan this QR code with the app on your phone and then you’ll be linked up to the web service. I should just note here that apparently the iOS app is not yet compatible with this so all you Apple users will have to hold your horses. However, Android, Windows Phone and eve Blackberry users can chat away already. Have you ever thought, ‘Oh my gosh I love this Instagram photo so much I wish I could print it on my body!’, well, wish granted. A new service called ‘Picattoo’ allows you to send 12 of your favourite Instagram images to them and they’ll send them to you in temporary tattoo form. Yes seriously. Now maybe this might be a fun idea for hen parties and stag dos, or like for tweenagers, but I have literally no other person in mind who might like this. So, yeah, it seems like a bit of a lazy business idea too if you ask me, I mean you could buy a sheet of ‘temporary tattoo paper’ and run it through your printer and do it yourself for seemingly half the price (Thanks, Amazon!). It’s Tuesday and here are the latest thinks we’re liking and the biggest fail of the day. Charlie Hebdo, the magazine at the centre of a horrific terror attack last week has released it’s first cover since the tragic event where 12 were killed. The cover is suitably controversial and features an illustration of Muhammad, which was reportedly the initial reason for the attacks. The image shows Muhammad holding a Je Suis Charlie sign, and a tear rolling down his face. The page is titled ‘ Tout est pardonne’ which means ‘all is forgiven’. Originally it was reported that a 1 million print run would be made of the issue following the attacks but in fact that has now, according to reports, been upped to a 3 million print run which should allow for expected demand. The magazine isn’t actually released until tomorrow but the front cover image has been released a day earlier by French news outlets. 1,000 copies should be going on sale in the UK from certain distributors tomorrow morning. WhatsApp is now more popular than SMS (text messaging), which has been around since mobile phones became popular. Also, David Cameron seemingly wants to ban WhatsApp from the UK. Weirdly, these two things are unrelated. Cameron has plans for a whole new level of surveillance on the public, where spies should be allowed to monitor all online messaging activity. The Prime Minister said he would stop the use of methods of communication which cannot be read by security services, such as services which encrypt their data, like Snapchat and WhatsApp. Which, if the other news of WhatsApp being more popular than texting is ringing true, means that there could be a large amount of WhatsApp users that are going to be disgruntled in the near future. A Social Media Agency’s Likes & Fails – 7th November – Facebook tries to cure Ebola & WhatsApp gets blue ticks. Can you believe it? It’s Friday already! Before you know it you’ll be 40. So anyway here are some Likes and Fails. I hope that only good can come from this and that Facebook is making sure all of the money donated is getting to where it needs to go. Mark Zuckerberg himself is donating a cool $25 million to help combat Ebola. Whatsapp have decided to add the dreaded ‘read’ feaure to their app so that when the green ticks next to a message turn blue then you know that the other person has seen that message. People all over the internet were crying out that WhatsApp would become a relationship ruiner. There are some hilarious images that have been circulating Twitter after the news of the change broke. You can see some of these funny responses below. Realistically it’s not the end of the world is it, I mean we were all initially enraged when Facebook changed their messages to ‘Seen by BlahBlah’, but now people have moved past the issue and just silently seethe when their friend doesn’t reply straight away. We woke up to the news today that Facebook have purchased messaging app WhatsApp for a whopping $19 billion in cash and stock. Facebook paid for the acquisition with $4 billion in cash and a whopping $12 billion in Facebook stock with another $3 billion in restricted stock which will be released to the WhatsApp founders and workers over the next four years. Zuckerberg has announced that the whole WhatsApp team will be joining the Facebook team but will continue to operate independently of Facebook. He also declares that the roadmap of the app will remain unchanged, basically cementing the fact that users need not worry about the app changing anytime soon. There were worries that Facebook would want to monetize the app by introducing advertising to the platform but that doesn’t seem to be the case for the foreseeable future. Zuckerberg stated that they would work hard to help the app grow and connect people all over the world. He also said that he believed that WhatsApp would complement Facebook’s current messaging services and provide new tools for their community. He says that the services provided by WhatsApp and the Facebook messaging app provide different services so although they are similar apps in the messaging sense, each will continue to be invested in and focussed on separately to make them great products for everyone. WhatsApp provides the option to message all contacts and is popular for small group messaging whereas Facebook messenger is just used to converse with your Facebook friends. This Acquisition follows a few years of large purchases made by Facebook, most notably of Instagram in early 2012, and very recently Branch, a New York start-up who are behind multiple social discussion tools which was said to be ironic as Branch got its break from a start-up incubator founded by Twitter. They also recently tried to purchase SnapChat for $1 billion but the offer was turned down by the founders. Experts say that the acquisition will obviously strengthen the messaging services that Facebook own and they expect the acquisition help WhatsApp to appeal more to the younger teen market that they may have been missing out on. The current plan is for user-base growth and until they reach 2 or 3 billion users there are no plans to monetise the app, which is good news for current users. Koum, the founder of WhatsApp agreed with Facebook’s admission, saying that he had pledged not to add advertising to the platform. 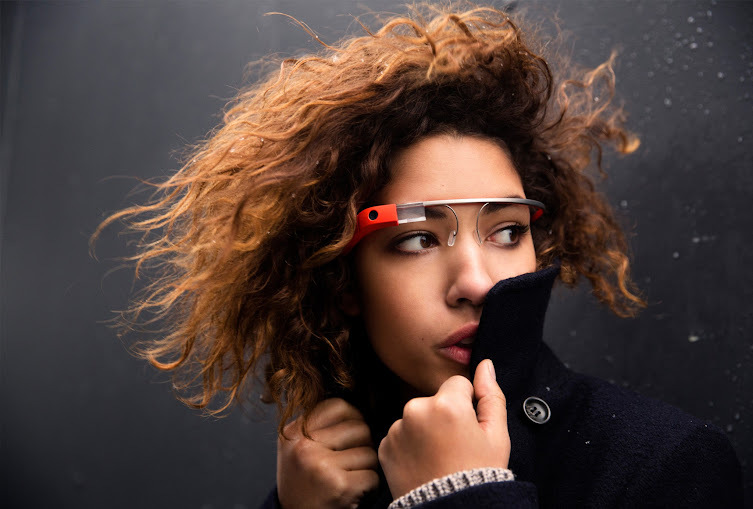 So Google have begun makin more announcements around their Project Glass and have been offering lucky people in the U.S. the option to apply to buy the Glass glasses (for a rather hefty sum of $1500) to be the first consumers to try them out. They are essentially giving an augmented reality feel to the smart phone, they look a bit like glasses you wear over your ears and in front of your eyes and are controlled by voice control to use the functionality. The best explanation of them in action is seeing it, so here is a first person video view of what it will be like to use Glass. So what exactly can you do with them? Well so far it seems as if the functionality is that of a smart phone, it can take pictures and video, send messages, you can share things instantly, and it even has navigation tools and video calling. Even better, you can perform simple voice web searches for answers to the burning question in your mind, you can even bring up translations while you are on holiday. All of this is obviously handsfree, which is a pretty exciting step forward in technology. Just think in 10 years or less we’ll all be wearing these and they’ll be more like $100 a pop. I’m desperate for some! Where can I get them? Well, you can visit the site here, and that will tell you all about it. But the short of it is, you need $1500, to be a U.S. citizen and to be able to travel to either San Francisco, L.A., or New York to pick them up. The way to be shortlisted of you own all the criteria above, is to tweet or G+ the hashtag and what you would do with glass if you had them and you could be one of the lucky ones to spend $1500.